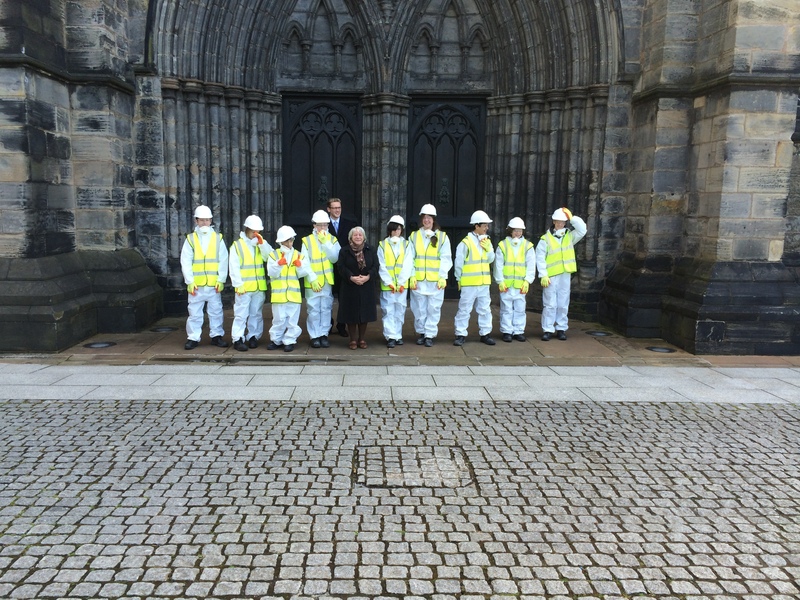 The Glasgow Traditional Building Forum organised an event at Glasgow Cathedral on 19 May 2015, which featured apprentices demonstrating traditional building skills including masonry, slate roofing, joinery, plastering and painting and decorating. 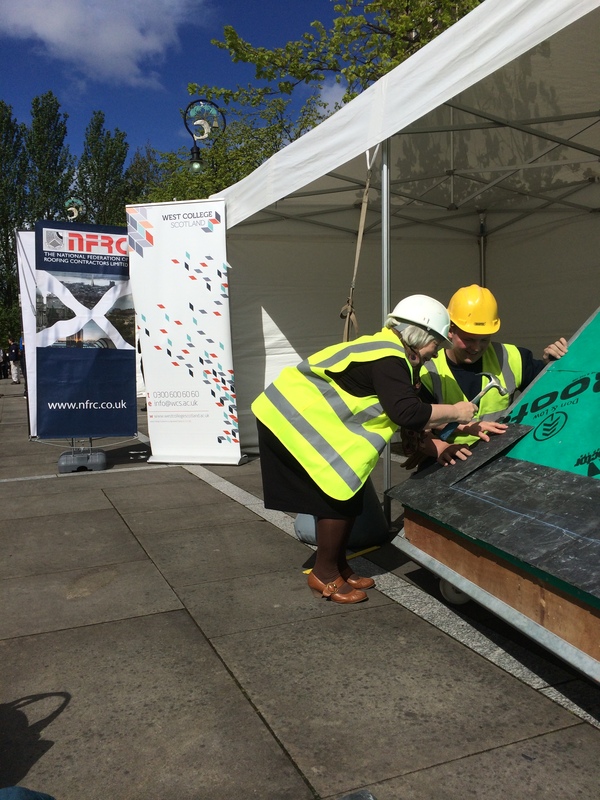 Sandra White MSP kindly came along and chatted to the apprentices, college staff and school children at the event and tried her hand at various trades. She dressed and fixed a slate very well and showed real skill for marbling and graining at the Painting and Decorating tent. The event was also open to the public and highlighted the importance of traditional building skills in the construction sector and the necessity for traditional building skills to protect the built heritage of communities in Glasgow and across Scotland.